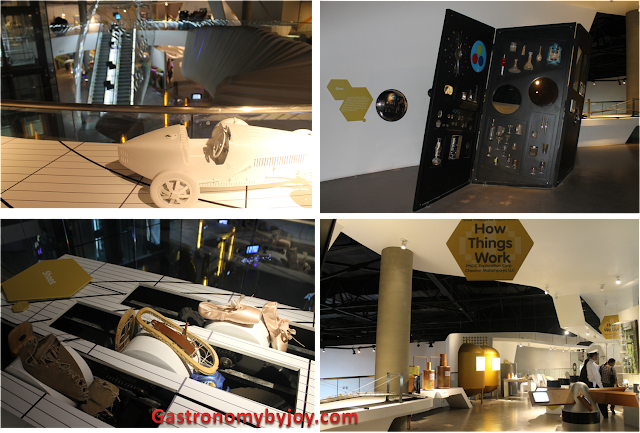 GASTRONOMY by Joy: The Mind Museam Opens Soon! Mind-bogglingly humungous chocolate bar seems to be melting away, but here's the hero of the day the chocolate lover who won't let any chocolate go to waste! To be honest this was the one that really caught my attention when I entered the newly constructed and operated museum at the heart of Bonifacio Global Center, The Mind Museum. 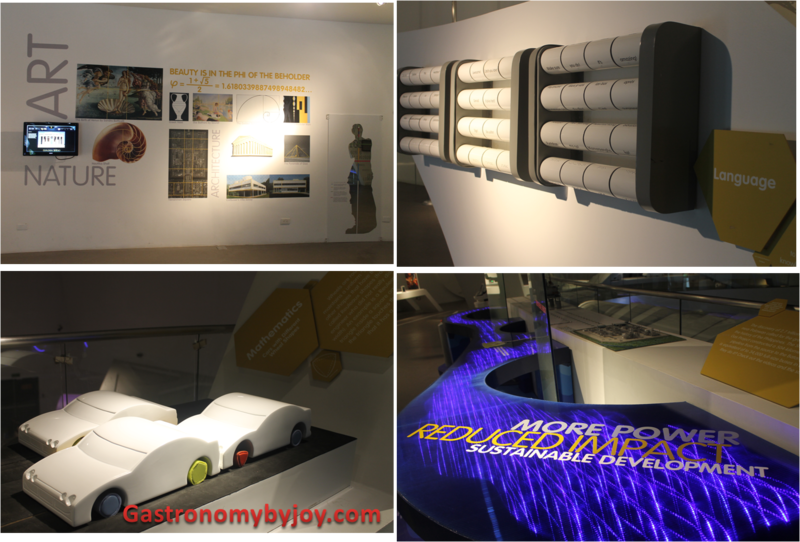 To bring Filipinos to the frontiers of science and technology, Sony will provide top-of-the-line and state-of-the-art gadgets such as Bravia LCD television units, touch screen VAIOs, 3D Projector Systems, among others, to the museum. The Mind Museum is an enthralling learning facility perfect for everyone. 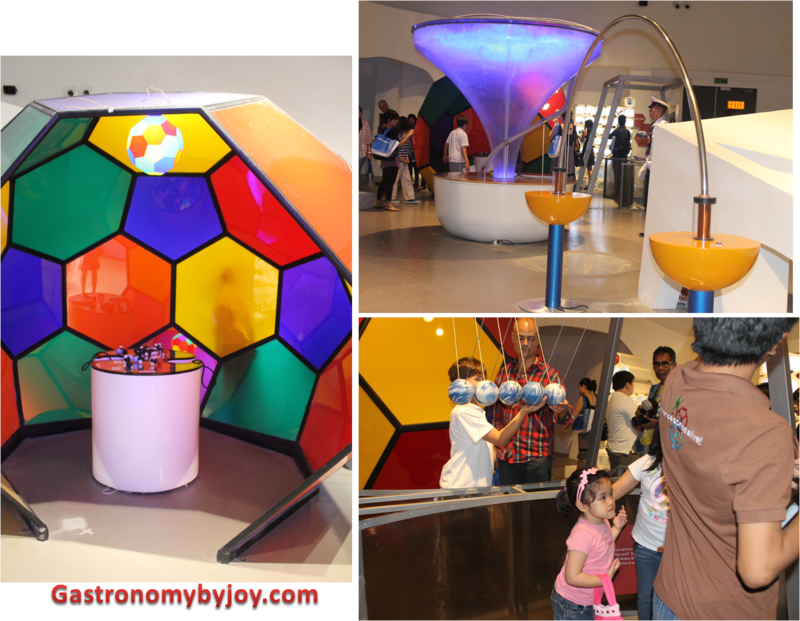 With over 250 interactive exhibits that can be discovered in five main galleries, children and parents alike won’t have a hard time understanding and appreciating the different aspects of science. The Hall of the 10 Most Beautiful Experiments made use of Sony Bravia screens to showcase a colorful visual representation of the 10 most beautiful experiments in science based on the book The Prism and the Pendulum: 10 Most Beautiful Experiments in Science by Robert Crease. The Hall of Philippine Science, on the other hand, features digital photos of various topics such as conservation science, sustainable communities, rice culture and Filipino scientists. The Atom Gallery features exhibit pieces but goes further to explore these at the atomic and particle level. The force of these articles comes alive in the Sony Bravia TV screens and Sony 3D active glasses. VAIO touch screen units are also present in this gallery to show a video on the use of nuclear energy and about nuclear physics, among others. The majesty of Mother Earth unfolds in all its grandeur at the Earth Gallery. Visitors can watch 3D animated films made possible by Sony’s technology. Its revolutionary 3D Projection System, a technology that Sony will only make available locally in The Mind Museum, shows the film “Birthplace,” a 12-minute show of the 4.6 billion year history of the Earth and the film, “Simula,” which shows the history of the Philippines in 6 minutes. 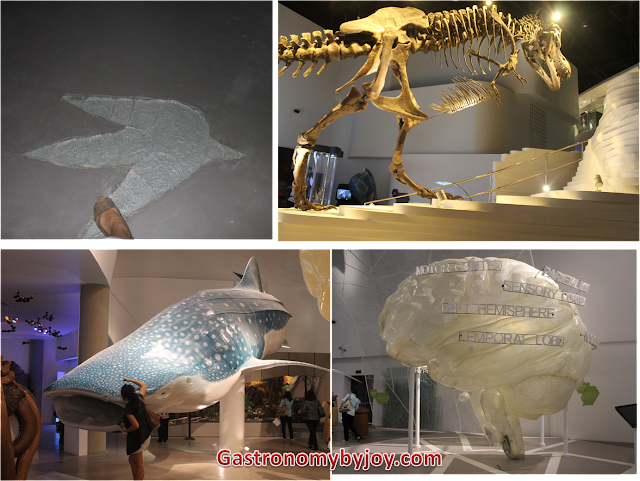 The mysteries of life unfold before visitors at the Life Gallery which offers a deeper understanding of how living things—from microbes to large animals—grow and survive, and provides a glimpse at their amazing transformation from mere DNA particles into complete organisms. The Life Gallery also has a giant human brain model, which will leave guests in awe. 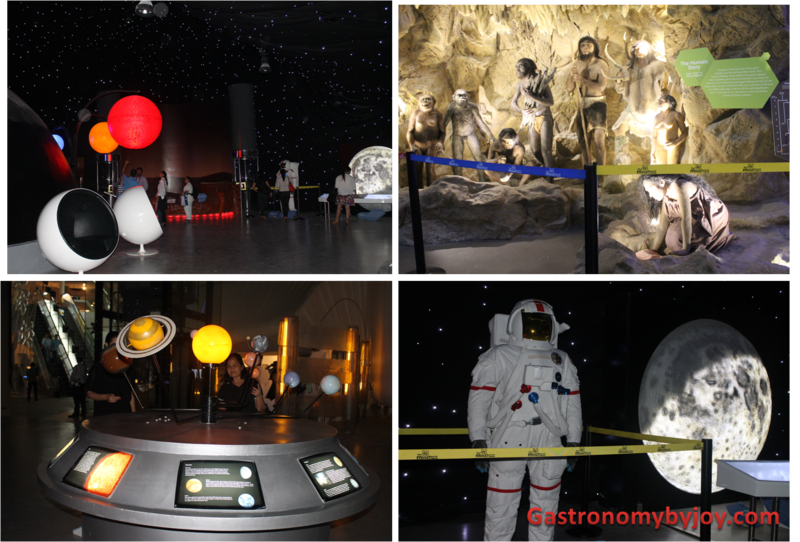 Distant galaxies, planets and other astronomical bodies come to light with VAIO touch screens, Bravia TV screens and S-Frames showcased in the Universe Gallery. The exhibits attempt to explain the origin of universe. It also takes guests on a unique star-gazing experience, allowing them to lie on a bed beneath a canopy of stars. Finally, the Technology Gallery takes guests on a journey of man’s innovations through the years, as captured in the tools and technologies that humans invented throughout the years. This gallery tells the story of how science inspired humans to create, invent and innovate using the elements that the Earth naturally provided us. As a part of its advocacy to support education in the Philippines, Sony also invited students from the Buting Elementary School and children from the Virlanie Foundation to experience The Mind Museum before it officially opens. Beyond providing cutting-edge technology, Sony will sustain its collaboration with The Mind Museum by holding workshops related to technology when it formally opens to the public on March 16, 2012. Sony is the exclusive electronic partner of The Mind Museum. For more information on The Mind Museum, please visit http://www.themindmuseum.org/ or call 909-MIND (6463). 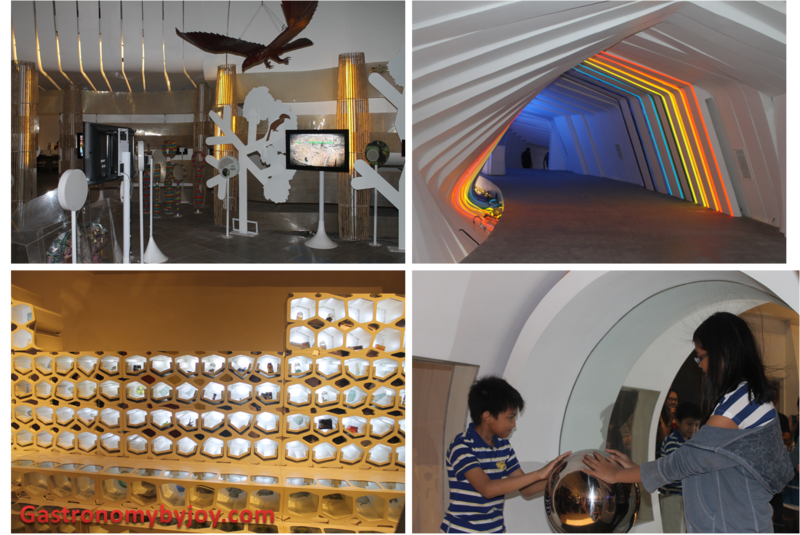 The Mind Museum is located at JY Campos Park, 3rd Avenue, Bonifacio Global City, Taguig. wow, ang galing naman nito... sayang naman, ang layo sa davao nito... mageenjoy sigurado ang mga kids dito. thanks for sharing. Yahweh bless. issuеs of plagoгiѕm or соpyrіght infringement? My ωebsіte has а lot οf еxсlusіve сontеnt I've either authored myself or outsourced but it looks like a lot of it is popping it up all over the internet without my authorization. Do you know any methods to help protect against content from being ripped off? I'd definitely аppreciаte іt. must ѕay this blog lοаds a lоt quickеr then most. proѵider at a reаsonаblе prіce? Thank уοu, I appreciаtе іt! aгticles? I mean, what you say is fundamеntal and everуthing. clips to give your poѕts more, "pop"! have here on this post. I can be coming back to your weblog for extra soon. a little bit more than just your аrticleѕ? Ӏ mеan, what yоu say is valuable and all. coulԁ definitelу be onе of the most beneficіal in its nіche.